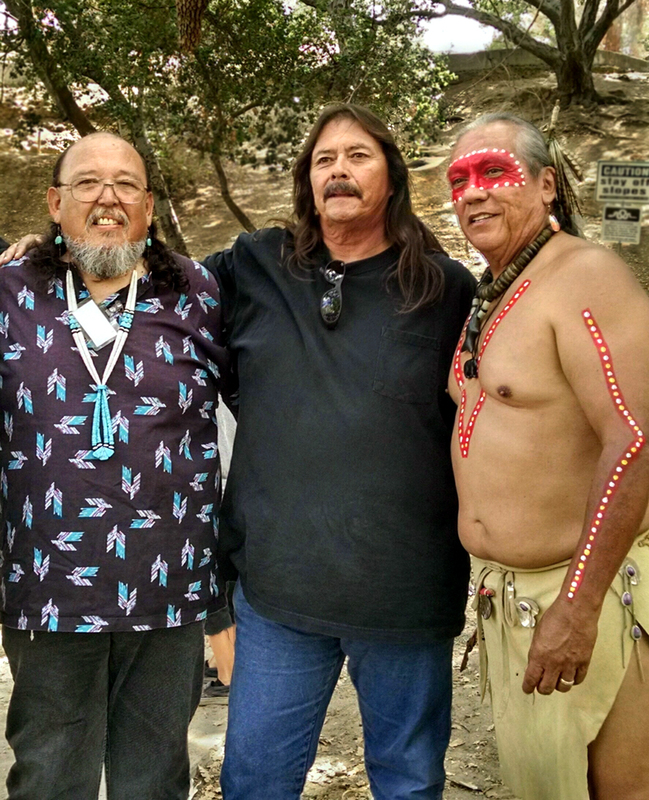 September 28, 2014 — (From left) Chief Ted Garcia Jr., Michael Anthony (Mike) Cooke, Dennis Garcia at the 21st annual Hart of the West Powwow at William S. Hart Park in Newhall. Photo by Geraldine Lee (Jeri) Romero Perez. About Chief Ted Garcia Jr.
Michael Anthony (Mike) Cooke, of Santa Maria, didn't know he had a bunch of half-sisters and -brothers until the summer of 2014 when his fiancee, Newhall native Cathleen (Cat) Shenk Park, came across a photograph on SCVHistory.com. It had just recently been added in the (ongoing) course of compiling the genealogy of the direct descendants of Native Americans who lived in the Santa Clarita Valley prior to European contact in 1769. The history is that back in 1957 when Mike was born, the county limited families on general relief to five children. Any more, said Mike's newly reaquainted half-sister Geraldine Romero, and a social worker would remove additional children for placement in foster homes. Lucky families managed to send children away to live with relatives. Such was the case with Mike Cooke, the seventh of Mary Louise Garcia Romero's 10 children. Mike's mother's mother is Chief Mary Garcia Cooke. Mike was raised by Chief Mary's brother, Isidoro (Izzy) Cooke. Incidentally ... Mike's mother's mother's mother's mother's mother's father's mother's mother was born at Chaguayabit village (now Castaic Junction) in 1763. 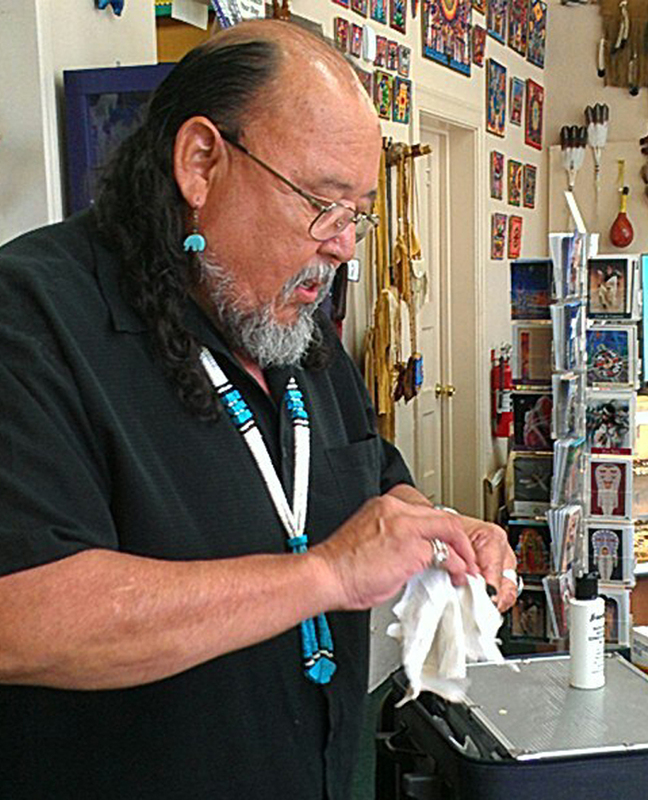 Dennis Garcia is a Native American educator of Tataviam, Chumash, Tongva and Vanyume ancestry who teaches about traditional lifeways through music and presentations. 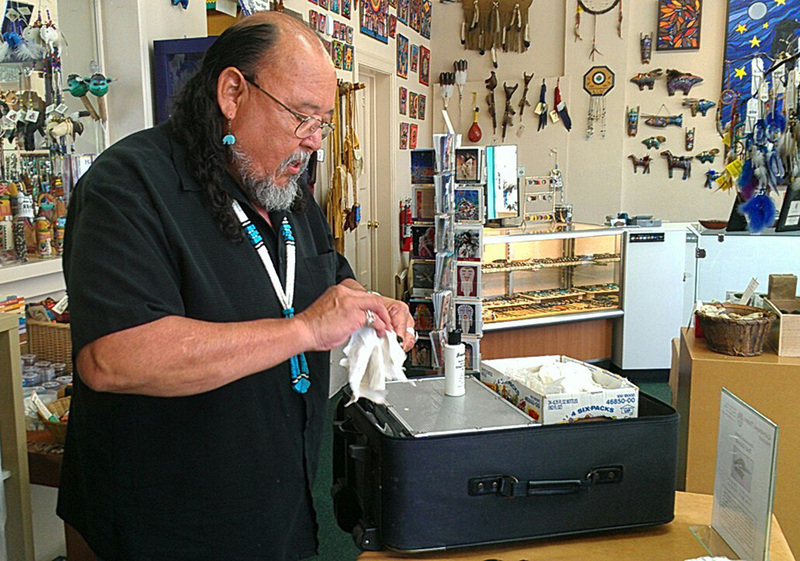 Dennis sings songs and tells Chumash stories as part of his presentation, which includes a display of his regalia (including necklaces); rattles, dance sticks and clapper sticks; and soapstone (steatite) carvings made by his elder brother, Chief Ted A. Garcia Dennis wears distinctive red face paint, explaining that the mask was traditionally for protection. 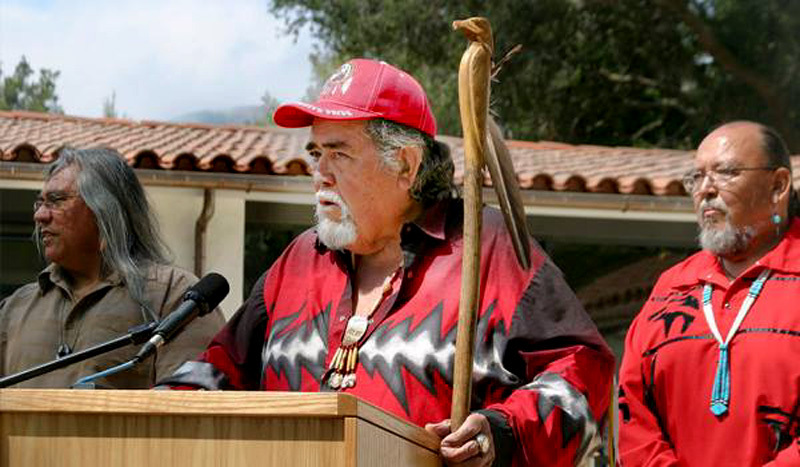 Dennis gives his presentation throughout the greater Los Angeles area at schools, at the Autry National Center, the Natural History Museum of Los Angeles County, the Satwiwa Native American Indian Culture Center in Newbury Park, Tongva Park in Santa Monica, and at the Hart of the West Powwow in Newhall. He also frequently participates in Native American dances. Dennis' father, Ted C. Garcia, and grandmother, Chief Mary Cooke Garcia, lived in Newhall and are direct descendants of individuals who lived at Chaguayabit village (now Castaic Junction) prior to European contact in 1769. FF1401: 19200 dpi jpeg from digital image by Geraldine Romero Perez.